A field-programmable gate array (FPGA) is an integrated circuit designed to be configured by a customer or a designer after manufacturing. – hence "field-programmable". 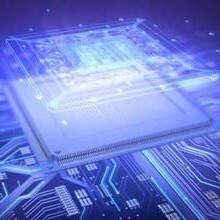 The FPGA configuration is generally specified using a hardware description language (HDL), similar to that used for an application-specific integrated circuit (ASIC). The electronic technology in use today is quite advanced and offers products that have a variety of capabilities that were previous thought of as pure fantasy. Today’s electronic products can serve several functions with some even capable of handling a number of simultaneous processes. These advances have contributed to the progress witnessed in the areas of computing, mobile telephone, electric cars, home and portable entertainment systems as well as many other electronic products. Electronic circuits are at the heart of all this progress in these products and devices. There are many different kinds of circuit in use today. Some are more advanced than others and are able to deliver greater capability. One such circuit is the FPGA or Field Programmable Gate Array. FPGA is an integrated semiconductor circuit that allows for programming after the manufacturing process is complete. This means that the product which has the FPGA can have its functions and features configured post production. In many cases the configuration is done after installation and hence the term field programmable. FPGA can be applied to any kind of function that ASIC or application specific integrated circuit can be used for but without the restriction of ASIC circuits. Through the use of logic cells, FPGA circuits perform complex combinational functions as well as simple logic processes. The processes undertaken by the logic cells are controlled by special software that translates commands to cell logic processes. 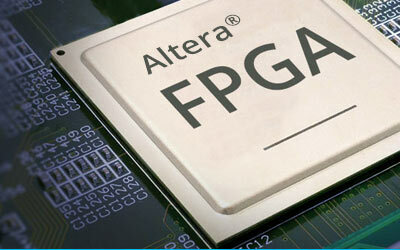 There are several benefits of using FPGA circuits. Apart from the ability to perform various functions, these types of circuits allow for faster production of products as they are applicable in different ways. It is also easier to debug as you can reprogram the circuit after manufacture. Products that are manufactured using this kind of circuit have a longer useful life since it is possible to reprogram and in some cases upgrade them. It is also easier to replace parts as well as circuits that are programmable in the field as compared to other circuits. All these reasons work together to ensure that products using FPGA circuits do not become obsolete as fast as those having other kinds of circuits. It is also why many manufacturers of medical, military, communication, as well as computing products prefer to us FPGA circuits. FPGA designing is done by electronic engineers or other hardware specialists who are conversant with the technology. Those interested in learning how to design using FPGA can access a good number of training materials from the internet or through online courses offered by various institutions. However those who are completely new to electronics should look for basic training in electronics in an institution before taking up online courses in FPGA design and development. This will help in familiarizing with the systems and requirements of these circuits and how to troubleshoot for basic issues. With continuous development of FPGA circuits, it is expected that they will deliver greater flexibility and performance in future.